GoGo is our latest board & Train, he's been with us for about a week now and is a total fun-loving energetic dog. Learning how to harness his energy without shutting him down is the main key since he is a working Gun Dog. Here is GoGo's first attempt at loose leash walking, enjoy. Have questions? feel free to leave a comment below and we will do our best to answer. Focus is a great command to teach your dog. It shows them to keep their full attention on you no matter the situation. This is the very first step we teach our clients when focus training. Stay tuned for more videos on focus training as well as many other dog training tips. Learn this and more, join the pack! Here's a quick video on how we get our dogs to not pull on leash and always be aware of how they're Heeling. Please keep in mind that our dogs are trained service dogs that have and are still in our training process (your dogs unless trained by us will most likely not catch on as quick so have patience). Want your dog to walk next to you with ease? give us a call today to set up your FREE evaluation 408.915.6173 . Here's a quick video of how you can mix in some basic obedience into your daily walks. These drills show your dog that no matter the time or place, they must pay attention. 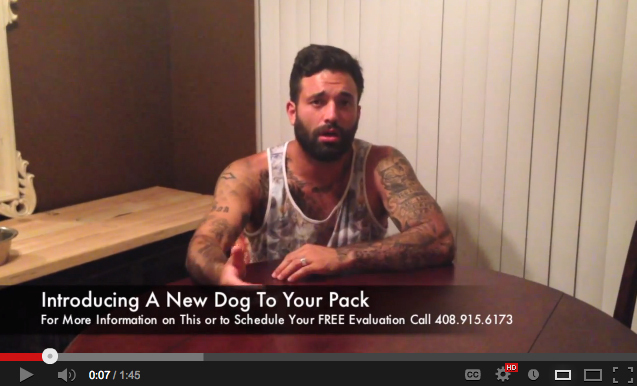 Want to learn how to properly communicate with your pup and become the leader of your pack? give us a call today and set up your FREE evaluation 408.915.6173. Here at Primal Canine we like to incorporate health & fitness into our training method, one way we do this is through agility. Not only is agility a workout for your pup but it provides healthy mental stimulation and helps their problem solving. Amongst those obvious benefits mentioned agility helps the bond between owner and dog, the dog will come to realize that you are there to guide them through their fears and will have a greater appreciation and trust for you. No matter your dogs size we suggest adding agility to your dogs training regiment, all dogs including the small ones need mental & physical exercise some more than others but still a much-needed part of a healthy dogs life. Here's a quick video on some of the off-leash heeling techniques we teach at Primal Canine, This heeling exercise shows your dog that even without collar, leash, etc. Heel is heel and all other obedience commands are still in effect. This is owner to dog communication at its finest! 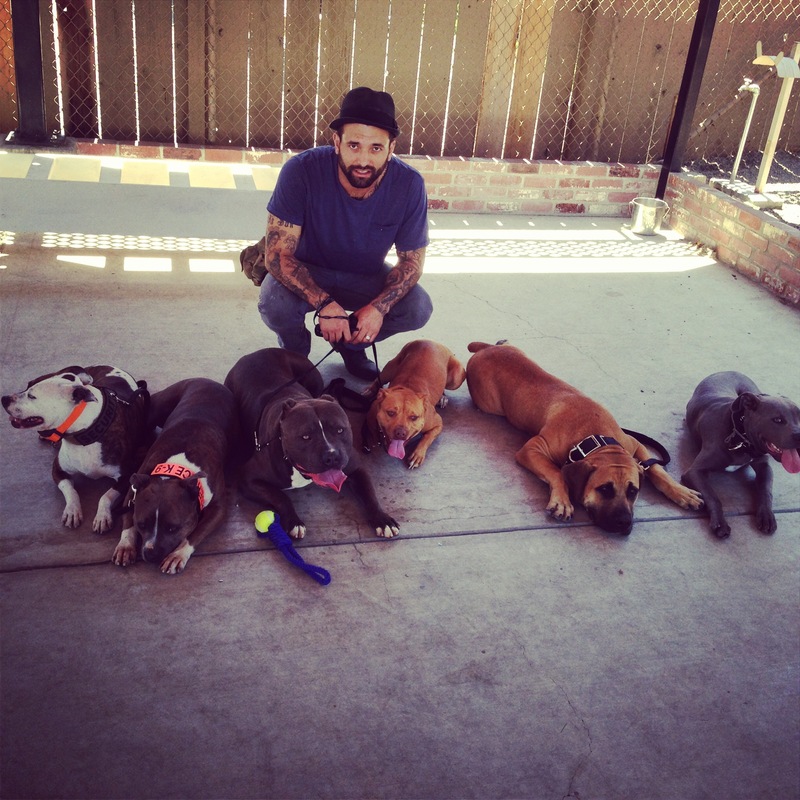 Want to learn how to properly communicate with your pup and become the leader of your pack? give us a call today and set up your FREE evaluation 408.915.6173. We found this cool "caring for your pup tips" infographic on Visual.ly . We think its pretty useful for first time pup owners, let us know what you think comment below!. Here's a quick view into our packs diet, our dogs live a really active lifestyle so we do our best to keep them healthy with the best nutrition possible. Before switching your dog's diet please do your research, a completely raw diet may not be suitable for your pup. Incorporating basic obedience into agility can be a bit tricky and complicated without the right training. Here is a quick video of the most basic way to do recalls while incorporating agility. Need to get your dog trained? Give us a call today to set up your FREE evaluation 408.915.6173. What your dog eats is an extremely overlooked part of your dogs health, in fact more than half of the dog food & treats found in pet stores has mass amounts of preservatives and meat by-products (animal hair, bones, waste, etc). Imagine the effect on our body if we ate fast food everyday? Well that is basically what we're feeding our dogs on the daily basis. Now that we as people are looking into better ways of taking care of our bodies with organic non-proccessed foods its time we do the same for our furry loved ones. Visual ingredient list 3 slices of bacon, diced 1 egg 1/3 cup creamy natural peanut butter (or Sunbutter) 1 tablespoon maple syrup (bacon + maple seemed like a good idea) 3 tablespoons water 1/2 cup soy flour 1/2 whole wheat pastry flour 1/2 cup wheat germ -Preheat oven to 300 degrees and line two baking sheets with parchment paper. -Fry the diced bacon until crispy. With a slotted spoon, remove the crispy bacon but save the fat. Allow the fat to cool slightly (2-5 minutes) -Add the egg, peanut butter, maple syrup and water to the bacon fat and mix thoroughly. -Add in the flours and wheat germ and mix until combined. Stir in the crispy bacon pieces. -Roll out the dough on a lightly floured surface to about 1/4" thick. Cut into desired shapes. I used three different 1" cookie cutters. -Bake in the oven for 12-15 minutes (for 1" diameter shapes) until lightly browned. -Cool and make them beg for it. Agility is a great way to increase your dogs confidence as well keep them in shape and improve your bond. We use obstacles that dogs of all size and fitness levels can use. Take a look at this video on the proper way to stabilize your dog while introducing agility obstacles to them. Interested in getting your dog trained? give us a call today to set up your FREE evaluation – 408.915.6173. Here's a quick video of one of the exercises I practice with my dogs as well as teach my clients. It's a great way to incorporate obedience training with your daily walks and not only keeps training fresh but it also helps your dogs understand that they need to listen in any condition. Interested in getting your dog trained? give us a call today to set up your FREE evaluation - 408.915.6173. Note: Please consult with a trainer before performing this exercise, an untrained owner can do more harm than good.